We’re not big fans of the Vionic (with Orthaheel technology) shoes on QVC, but there was a shocking revelation during one of the product’s presentation. We didn’t know what to make of it when we saw it, but several of our smart readers clued us in. We don’t even know the name of the Vionic presenter who was on with host Jane Treacy, but all of a sudden he got very emotional and teary when he referenced the fact that company founder-chairman-podiatrist Dr. Phillip Vasyli had passed away. QVC actually cut away and went to blank air for what seemed like minutes but was probably seconds. It turns out that in a horrible tragedy, Vasyli was murdered, stabbed to death in his home in the Bahamas on March 23. He was only 59! Our two trusted readers had done their reporter’s legwork and found stories on the Web about his death, and forwarded them to us. And in yet another terrible twist ins his case, Vasyli’s 54-year-old wife Donna has been charged with his murder. He was an incredibly handsome man, and obviously a smart business person. A millionaire, he was slain at his luxury home in the Bahamas. His own website announced the sad news. 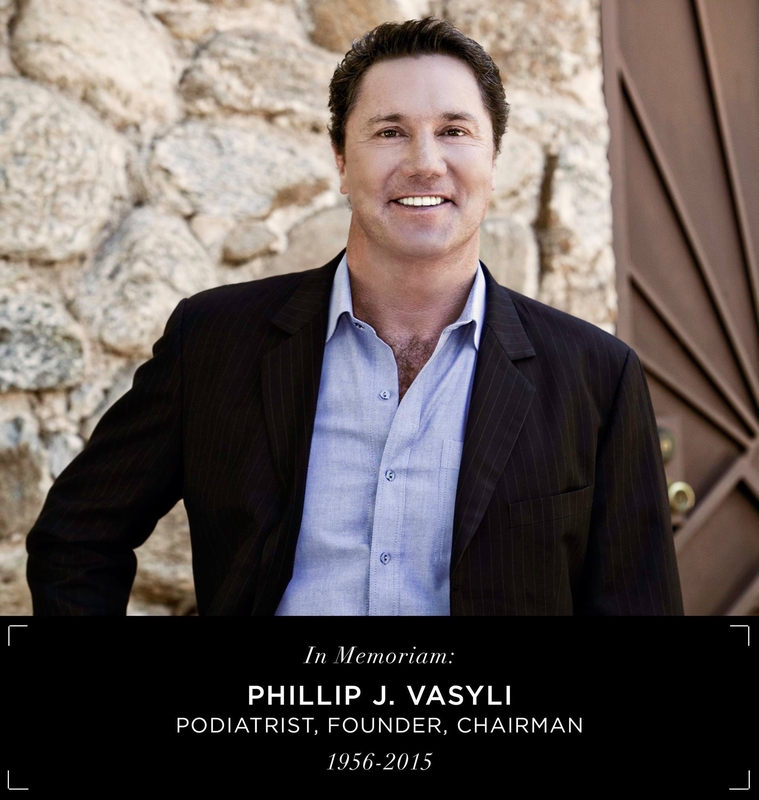 “The Vasyli family is deeply saddened to announce the sudden passing of Phillip Vasyli, who died this week at his home in the Bahamas,” it said. Vionic’s CEO posted this on Facebook. It has been a sad and unsettling week for our organization, with waves of emotions that come and go. 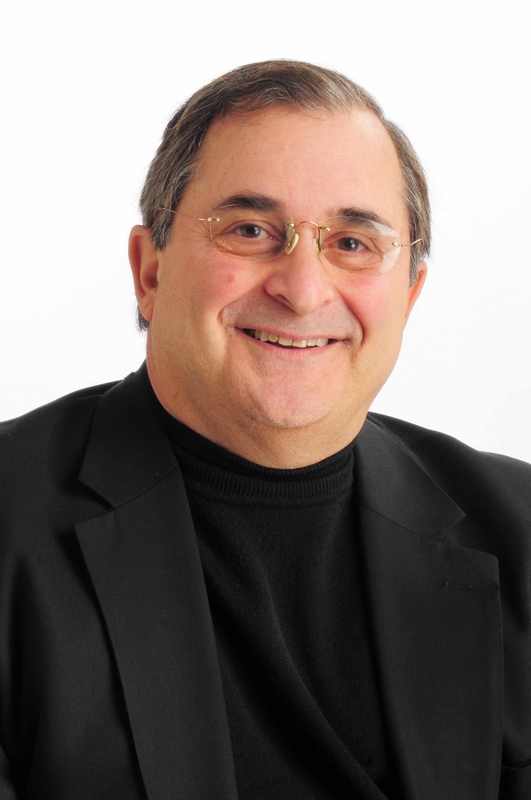 Our founder, Phillip Vasyli, was a warm and genuine colleague and friend, and his presence in our lives will be greatly missed. A familiar sight around our San Rafael office, Phil’s charisma and larger-than-life personality never failed to light up a room. Phil had a deep and profound belief in the people he worked with, and it is this confidence that gives us the strength to move forward, though we do so with heavy hearts. The same drive that guided him as a podiatrist, a healer and an entrepreneur will guide us in honoring his legacy. Phil’s vision is integral to the Vionic philosophy, and we will continue our efforts with his goals at heart. In recent days we have experienced an overwhelming outpouring of support, for which we are very grateful. These kind words have reaffirmed our dedication to Phil’s mission, and Vionic will strive to achieve it every day going forward. Condolences to his poor family. Evine Live had a bloody week. Formerly known as ShopHQ, the home shopping network has done some spring cleaning, sweeping out many members of the former management team — including the president. 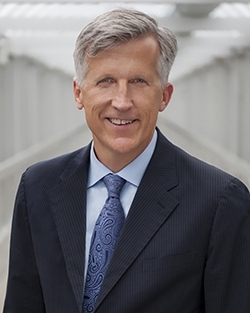 First, the network appointed Tim Peterman its executive vice president and chief financial officer, replacing Bill McGrath. Peterman’s resume includes stints at Synacor, E.W. Scripps Co., IAC and Tribune Co. He will report to Mark Bozek, CEO of Evine Live Inc.
Another casualty was Teresa Dery, senior vice president and general counsel. Her interim replacement is Chief Strategy Officer Russell Nuce. What was up with ex-QVC host Lisa Robertson’s appearance last week on “Good Morning America”? Host Robin Roberts claimed that it was the first time that Robertson had ever talked about her multiple stalkers. We don’t think that is so. We have no sympathy for nutjob stalkers, far from it. But in the journalism biz, there usually has to be a timely news peg to do a story. But there was none here, that we could see. Robertson told Roberts that she was so fearful of her stalkers, she essentially became a shut-in except for work. Robertson talked about court proceedings against one of the crackpots that tracked her. She also said that her stalkers weren’t the sole reason she left the home shopping network, but was part of a list of reasons. The ex-host also said that she isn’t retired, and is enjoying sleeping in. Well, QVC says they have had four hit TV shows, but we’ve never heard of them. That must be because we avoid any home design programs like the plague. But for those in the know, Jonathan and Drew Scott, “recognized worldwide for their real estate and design expertise,” are coming to QVC next week. Their line of outdoor furnishings and accessories, Scott Living, will be on the air Tuesday at 10 p.m.
A combination of quality, style, versatility and affordability, the Scott Living collection has something to offer for design pros and novices alike. With products ranging from traditional to contemporary, the collection features an assortment of patio furniture, lanterns and lamps, decorative planters and more guaranteed to complement any style and space, with items perfect for all budgets. “Helping fans turn their dream homes into reality is something we’re very passionate about,” Jonathan said. “We are excited to unveil our collection on QVC and share our knowledge and experience with millions of viewers across the country,” added Drew Scott. Since we don’t have an outdoor space to decorate, we’ll be watching “Chicago Fire” next Tuesday. Wow, HSN mother of invention Joy Mangano must have had quite a life so far. White-hot actress Jennifer Lawrence is slated to play Mangano in a film, “Joy,” which comes out in December. And who are her co-stars? Hunky Bradley Cooper and Robert DeNiro, according to several press reports today. Wowser! We consider Brad very “Huggable.” And he just broke up with his girlfriend. The movie is already filming, in places like Massachusetts. 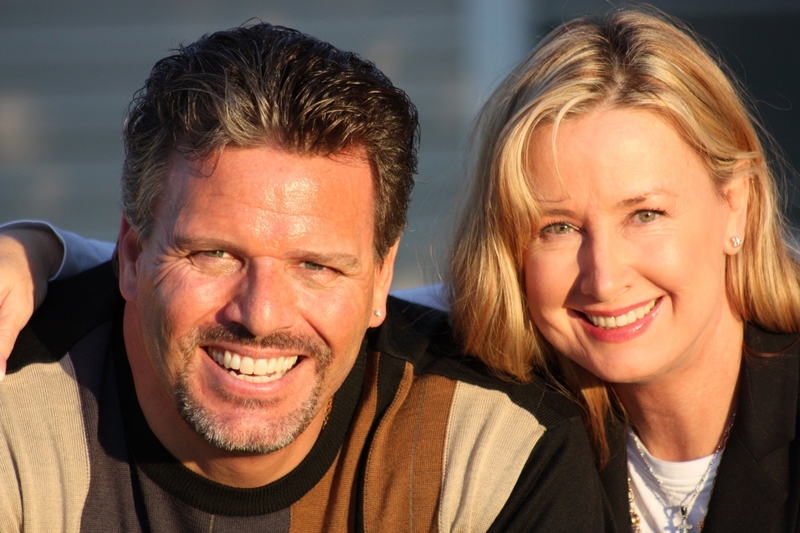 QVC Alum Lisa Robertson On “GMA,” Lisa Mason Comeback? Our astute Facebook friend Maryam informed us that former QVC host Lisa Robertson is slated to make an appearance on “Good Morning America” tomorrow, Tuesday. We don’t know if she’s a guest, a host, or what. And TVShoppingQueens.com has a good scoop. The site is reporting that former QVC host Lisa Mason is coming back to the home shopping network. Maybe it’s an effort to fill the Grand Canyon-sized gap left by Robertson’s departure. Congrats to TVShoppingQueens for breaking the news, and congrats to Mason for returning as a host. We hope Gino is doing well with his brain cancer treatments. Dallas Prince and her husband and fellow jewelry designer and home shopping vendor, Vincent Ciurluini, are one of the most gorgeous couples we have ever seen. Not only that, they are talented designers and gracious, lovely and charming every time they are on-air. So it was frightening to read on Facebook that Vincent last week suffered a heart attack. The good news is that doctors saved his life, and he is on the mend. The next day, Prince had this update. Prince has appeared on ShopHQ and had a brief stint on HSN before returning to what is now known as Evine Live. Vincent has also sold jewelry on Evine Live. Our dad ended up dying of pancreatic cancer in January, but nearly 20 years ago he suffered a massive heart attack. The hospital where he was treated, Morristown Memorial, had just recruited a team of heart specialists from Philly. Those doctors saved our dad’s life. We’re glad physicians were able to do the same for Vincent, and our prayers and well wishes go out to him and Dallas. Glamor pusses Cindy Crawford (and fellow Northwestern grad) makeup artist Sonia Kashuk will be appearing in both a print and television public service announcement for “QVC and CEW Present Beauty with Benefits,” the home shopping network said last week. QVC and Cosmetic Executive Women (CEW) are again teaming up for a two-hour live charitable broadcast to provide shoppers with a special opportunity to feel beautiful while giving back. “QVC and CEW Present Beauty with Benefits” will April 15 and feature beauty brands including Laura Mercier, Clinique, Laura Geller, Shiseido, Josie Maran and philosophy. During the event, customers can shop from a selection of cosmetics, fragrance, skin-care and hair-care products, and 80 percent of the purchase price of donated merchandise will benefit Cancer and Careers, a charitable program of the CEW Foundation that is dedicated to the empowerment of people living and working with cancer. Since 2013, “QVC and CEW Present Beauty with Benefits” has generated $2.2 million to benefit Cancer and Careers. Newly christened Evine Live, formerly ShopHQ, posted a 4 percent increase in sales in the fourth quarter, up to $201 million. The company Wednesday reported adjusted net income of $3.7 million, a rise over $3.4 million in the year-ago period. For fiscal 2014, the home shopping channel racked up sales of $675 million, up 5 percent over fiscal 2013. “Our fourth quarter results were solid,and we are pleased with the progress we have made in strengthening the organization and repositioning to a digital commerce company,” CEO Mark Bozek said in a canned statement. William McGrath, EVP & CFO of EVINE Live, also chimed in. HSN has a new host coming, one with apparently Hispanic roots. She’s Amy Bravo, who has previously served as a host for HSN’s “Boutique” on segments on Univision, the Spanish-language broadcast giant. Bravo has also been a model on the English-language HSN. On Facebook veteran HSN host Colleen Lopez posted an item about Bravo. You are currently browsing the Homeshoppingista's Blog By Linda Moss blog archives for March, 2015.